Offered in all 4 studios! 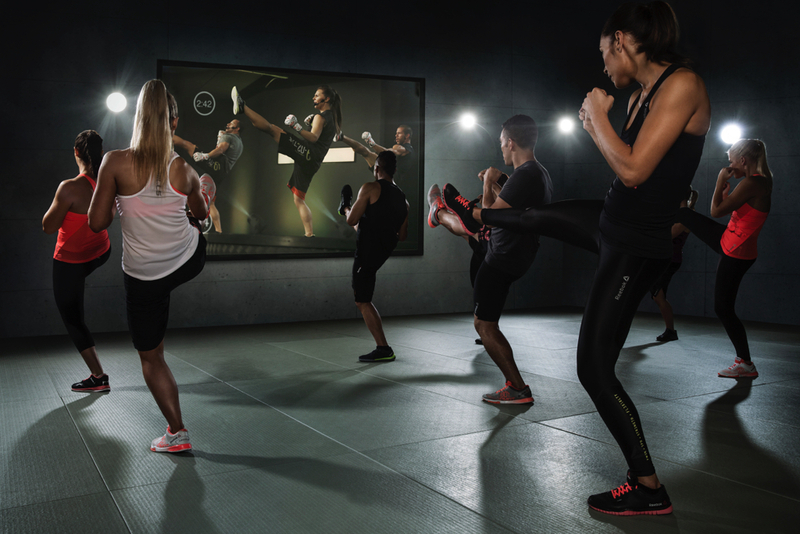 Through our partners Les Mills and Wexer, we are able to deliver virtual fitness content using the latest technology. We guarantee there is something for every member! Studio 1 offers scheduled virtual fitness classes, including Les Mills Born to Move, kids virtual fitness classes. 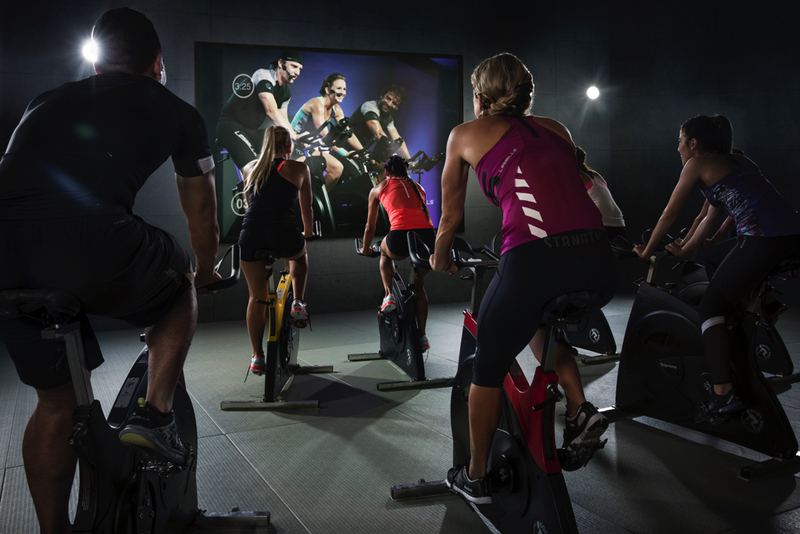 Studio 2 offers scheduled virtual cycling fitness classes and on-demand time to schedule your own virtual cycling class. Studio 3 offers scheduled virtual fitness classes. Studio 4 offers scheduled virtual mind/body fitness classes and on-demand time to schedule your own fitness class. Find our virtual fitness classes on our Mobile App or on our Schedules page. Available in Studios 2 and 4. Choose a class by level, duration or type, and take a class on demand!